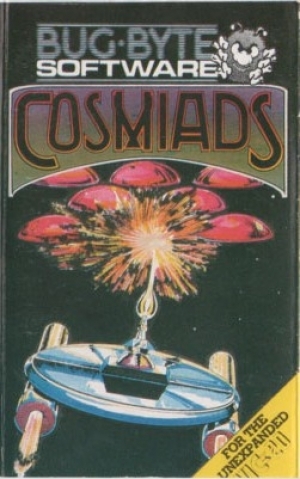 COSMIADS. BUG-BYTE. 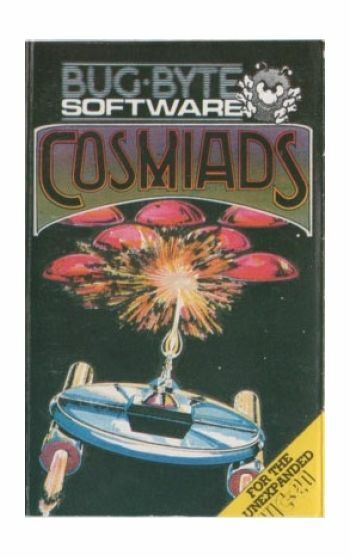 The object of the game is to shoot all the attacking cosmiads using your space laser and dodging the swooping aliens, if you successfully clear a whole screen of cosmiads a new more ferocious pack appear and so your fight continues.